To say that hearing loss is common is a bit of an understatement. 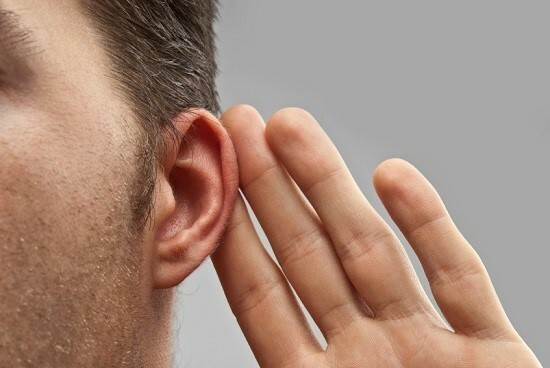 In the US, 48 million people describe some extent of hearing loss. Meaning, on average, for every five people you encounter, one will have hearing loss. And at the age of 65, it’s one out of three. With odds like this, how can you prevent becoming one of those five? To help you understand how to preserve healthier hearing all through your life, we’ll take a look at the causes and types of hearing loss in this week’s posting. Hearing loss is the interruption of normal hearing, so the best place to start off is with a familiarity of how normal hearing is supposed to work. The physical and mechanical conduction of sound waves. Sound waves are produced in the environment and move through the air, like ripples in a pond, eventually making their way to the external ear, through the ear canal, and finally striking the eardrum. The vibrations from the eardrum are subsequently transferred to the middle ear bones, which then excite the tiny nerve cells of the cochlea, the snail-shaped organ of the inner ear. The electrical conduction from the inner ear to the brain. The cochlea, once activated, translates the vibrations into electrical signals that are transmitted to the brain via the auditory nerve. The perception of sound within the brain. The brain perceives the electrochemical signal as sound. What’s fascinating is that what we perceive as sound is nothing more than sound waves, oscillations, electricity, and chemical reactions. It’s an entirely physical process that leads to the emergence of perception. Let’s take a closer look at the first two, including the causes and treatment of each. Conductive hearing loss disrupts the physical and mechanical conduction of sound waves to the inner ear and cochlea. This is a result of anything that hinders conduction. Examples include malformations of the outer ear, foreign objects within the ear canal, fluid from ear infections, pierced eardrums, impacted earwax, and benign tumors, among other causes. Treatment of conductive hearing loss consists of extracting the obstruction, treating the infection, or surgical correction of the malformation of the outer ear, the eardrum, or the middle ear bones. If you have conductive hearing loss, for instance from impacted earwax, you could possibly begin hearing better immediately following a professional cleaning. With the exception of the more severe varieties of conductive hearing loss, this type can be the simplest to treat and can bring back normal hearing entirely. Sensorineural hearing loss impedes the electrical conduction of sound from the inner ear to the brain. This is the result of injury to either the nerve cells within the cochlea or to the auditory nerve itself. With sensorineural hearing loss, the brain is provided with weaker electrical signals, reducing the volume and quality of sound. Sensorineural hearing loss is frequently connected with exposure to loud sounds, and so can be protected against by keeping away from those sounds or by shielding your hearing with earplugs. This type of hearing loss is a bit more challenging to treat. There are no present surgical or medical procedures to repair the nerve cells of the inner ear. However, hearing aids and cochlear implants are extremely effective at taking over the amplification functions of the nerve cells, resulting in the perception of louder, more detailed sound. The third type of hearing loss, mixed hearing loss, is essentially some combination of conductive and sensorineural hearing loss, and is treated accordingly. If you have any difficulty hearing, or if you have any ear discomfort or lightheadedness, it’s a good idea to consult your doctor or hearing professional right away. In nearly every instance of hearing loss, you’ll attain the best results the sooner you deal with the underlying problem.